Earlier this week we checked out the 2012 Fiat 500 and the first drive report. What we found out was that the Fiat will be a fun, but not particularly performance oriented mini car—at least until the Abarth edition makes it to the U.S. sometime in the future. However, those on the west coast want to know when the convertibles are coming. Yes, we are talking about the cute, adorable and unique Fiat 500C. Convertible might be stretching the truth a little bit; the 500C is more like the Smart ForTwo Cabriolet than it is like the MINI Cooper Convertible, especially with its slide-back cloth roof and roof rails intact. No matter, the 500C is something that sun worshipers want. So back to the matter at hand, when will we see the Fiat 500C grace the U.S. shores? 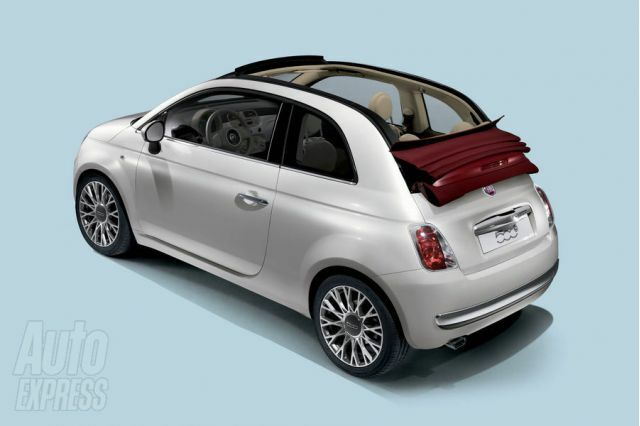 According to out partners over at TheCarConnection.com, the Fiat 500C will comes during second quarter of this year as a 2012 model year. It is also expected that the six-speed automatic version of the standard Fiat 500 hatch will turn up about this time as well. That isn’t the only model Fiat has up its sleeve; the introduction of the Fiat 500 Abarth is expected to hit the market in the U.S. in early 2012 as a 2013 model. The Abarth will appeal to those looking for more power with a 1.4-liter T-Jet engine that puts out some 135 horsepower. What would be even better is an Abarth Cabriolet, but there hasn’t been any clear indication if we will see that among the option list on the Fiat 500s brought to the U.S.
Bottom line—the 2012 Fiat 500 looks like it will be a good in-town commuter that we bet will have a cult like following similar to that of the MINI Cooper or the Smart ForTwo. Our prediction is that volumes will be low for the first year as people try them out and then you will see them take off in urban settings like Chicago, San Francisco, New York City and Boston. Check back right here at AllSmallCars.com for more on the voyage of the Fiat 500 to the U.S.